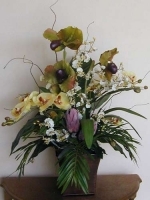 Sophisticated, graceful, incredibly life-like — even to the touch! 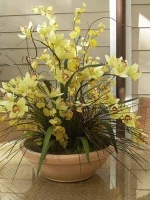 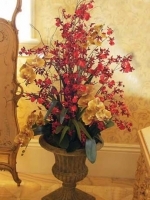 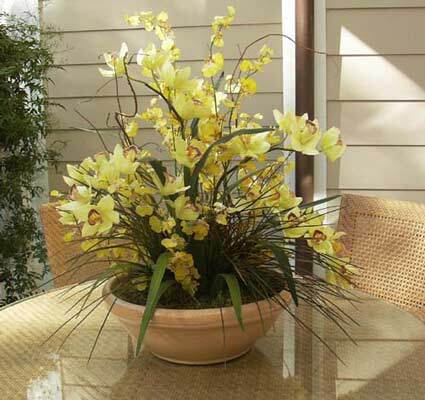 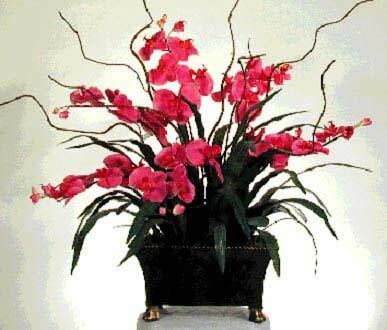 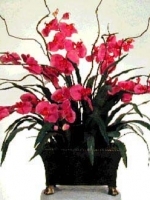 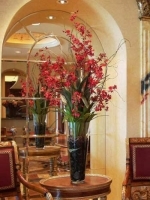 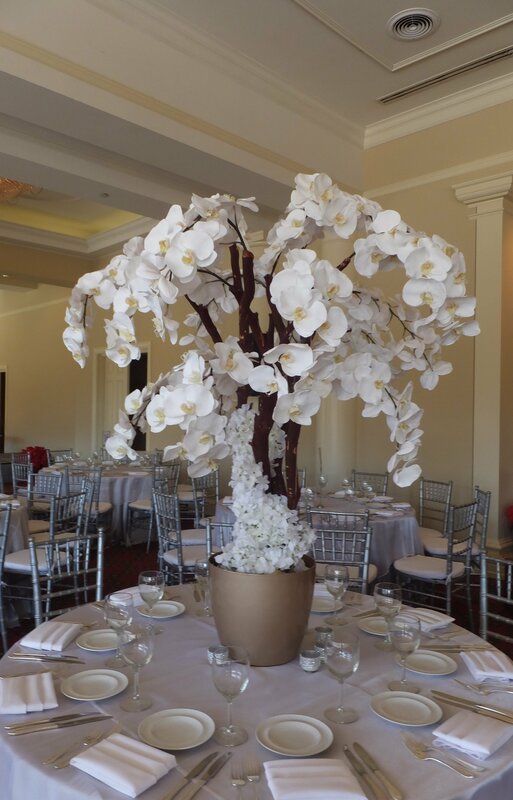 From an elegant single orchid, to a large, focal orchid arrangement, Make Be-Leaves silk orchid creations are unsurpassed in beauty and versatility. 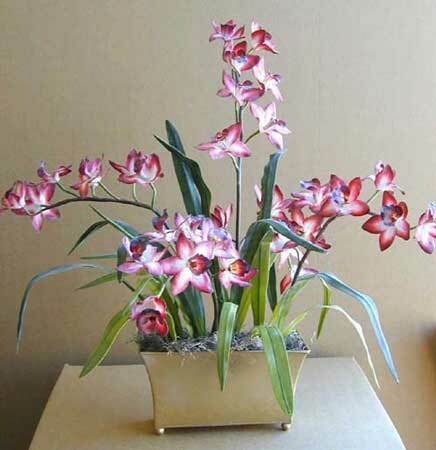 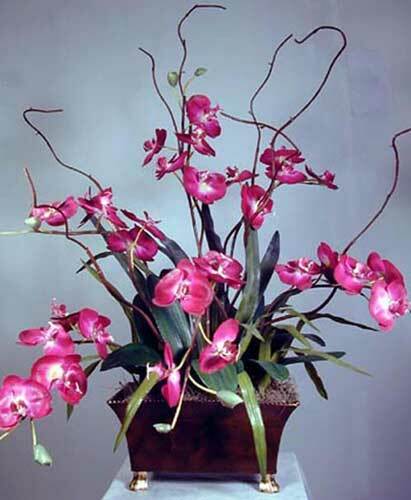 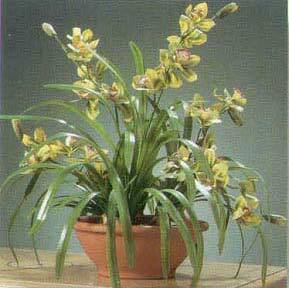 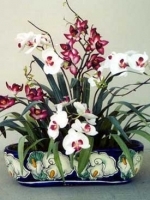 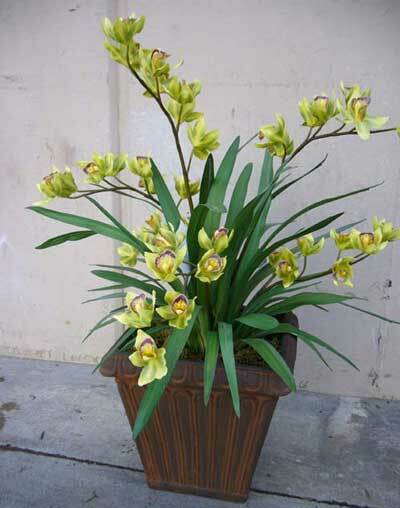 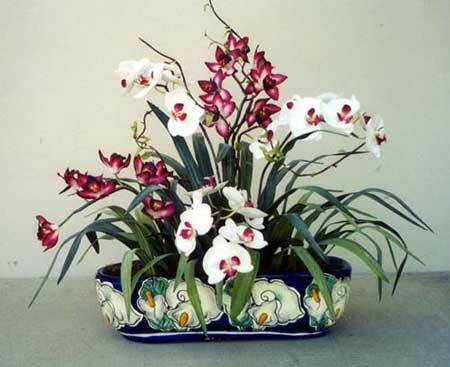 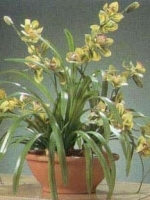 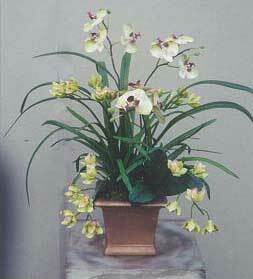 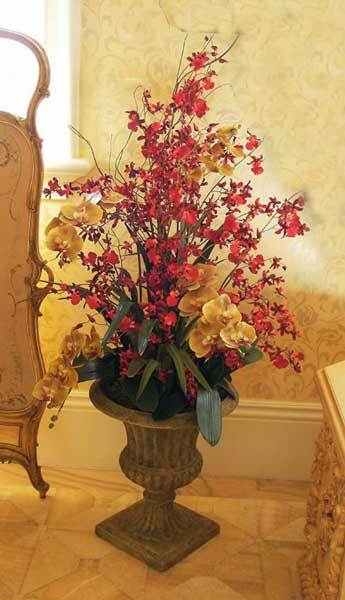 And we offer a great variety of species, design types, and colors of silk orchids from which to choose. 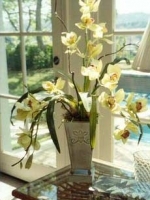 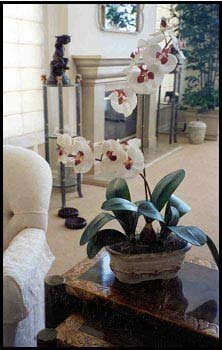 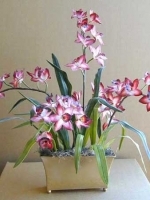 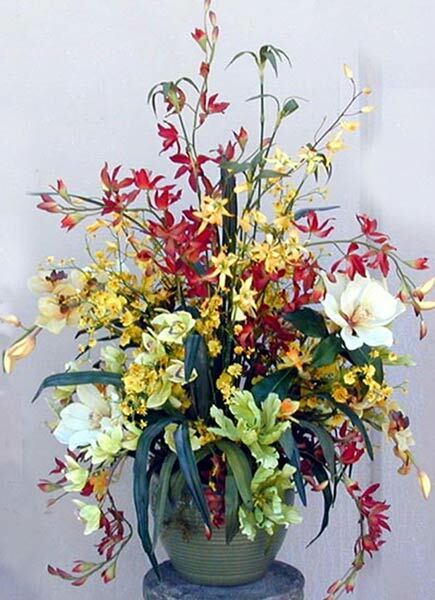 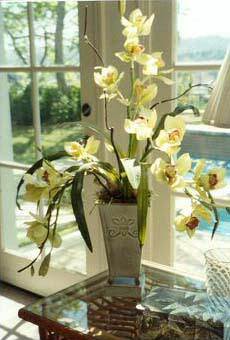 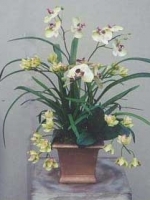 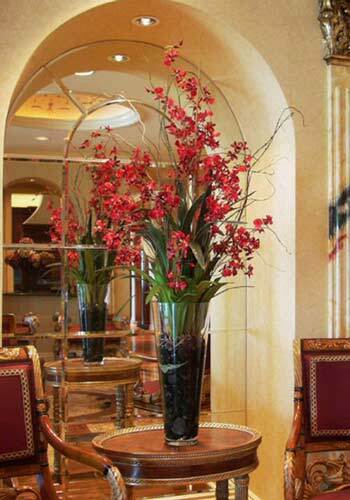 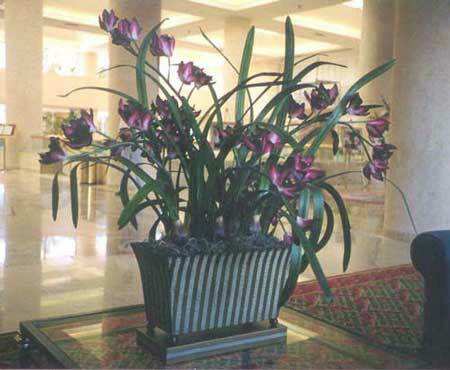 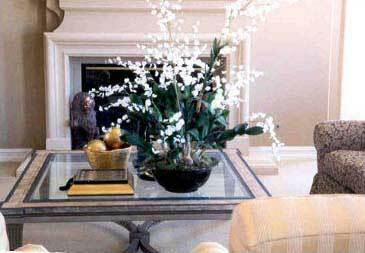 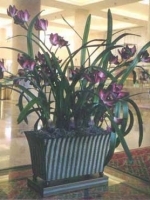 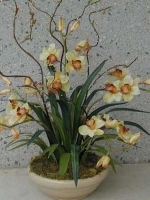 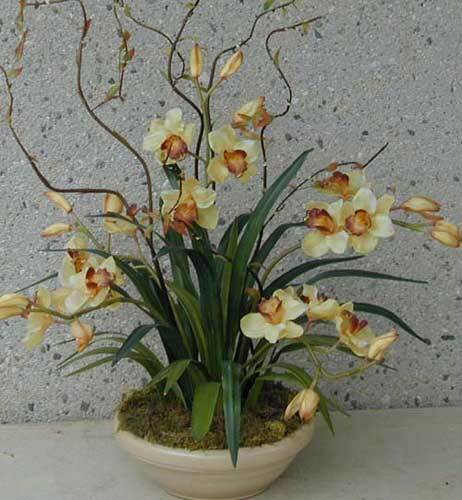 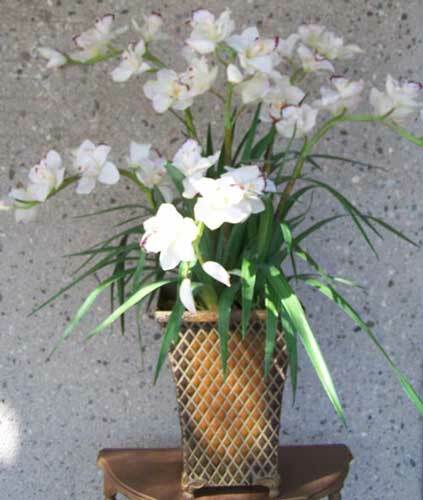 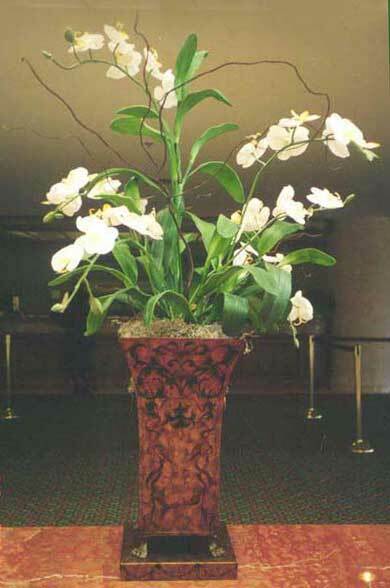 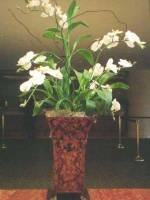 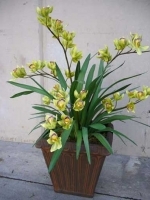 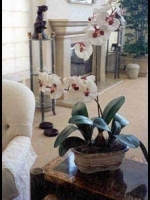 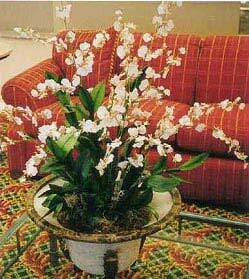 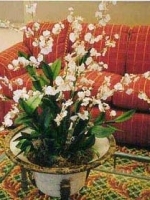 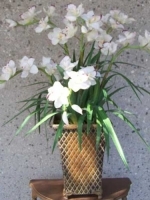 Browse the photos below, let us custom design a silk orchid arrangement to your exact specifications.